The Selecao completed the at-home portion of their training camp with a draw against Greece at the Estadio do Jamor. Though the Portuguese were the better team throughout, the Greeks did what they do best by frustrating Portugal’s attempts to reward their fans with a final victory before continuing their pre-tournament preparations in the United States. Without the services of Cristiano Ronaldo and Pepe, Paulo Bento introduced major changes to his regular starting eleven. This included adjusting the formation to a 4-4-2 to begin the match with Eder and Postiga leading the line. Moutinho was suprisingly dropped in favor of William Carvalho and Veloso in central midfield with Nani and Varela on the wings and Andre Almeida at left back in place of Coentrao. Greece started the match with what will likely be their starting eleven during the World Cup with Sokratis Papastathopoulos in defence and Celtic striker Georgios Samaras at the top of the formation. And no more than two minutes into the match, Nani sent in a beautiful cross from the right that Eder headed powerfully right into the arms of visiting keeper Orestis Karnezis. The Selecao also started brightly on set pieces with Bruno Alves and Ricardo Costa both forcing saves from Karnezis on two corners in quick succession. Portugal did well to prevent the Greeks from creating any fluid attacking movements and generally dictated the flow of play. Greece countered by attempting to pick out the runs of Dimitri Salpingidis with long balls over the top of Portugal’s back line. Miguel Veloso blazed over after being teed up by Varela following a corner in the 26th minute, but Portugal laboured to break down the obstinate Greek defence. Papastathopoulos exited after taking a knock in the 41st minute, and the first half ended scoreless despite 60% possession and 3 shots on goal for Portugal. Hugo Almeida replaced Postiga and Beto came on for Eduardo to start the second half. Eder quickly won a free kick in a promising position, but Veloso could only hit the wall. Nani’s cross narrowly eluded both Eder and Almeida after a great run down the right flank in the 51st minute.The Selecao continued to create danger down the right side of the pitch with Nani, Joao Pereira, and Eder linking up well. Greece made several changes in the 63rd minute, including striker Theofanis Gekas to apply more pressure on Portugal’s defence. Amorim entered the fray in place of Eder, who played well considering his lengthy absence from the national team. In the 69th minute, Nani cut inside his marker and hit a decent shot towards the bottom right corner that Karnezis gathered well. The visitors were nearly gifted the opening goal in the 78th minute when Beto flapped at a cross from the right, and the Greeks high pressure game began to trouble the Selecao in possesion. Greece finally registered a shot on goal after Andre Almeida was stripped of the ball near the corner flag, but Beto blocked the shot at his near post. Ricardo Costa wrapped up the match by striking the top of the crossbar with a cross from the left in stoppage time. It wasn’t vintage Portugal, but how could it be without Ronaldo? In spite of the scoreline and lacking key players, the Selecao did well to limit their opponents in attack. Nani played surprisingly well, outperforming both Varela and Vierinha, while Eder also showed some promise. It remains to be seen if the 4-4-2 will be used at all in Brazil, but the players looked far more comfortable compared to the last time the formation was used against Cameroon in March. Though rarely troubled, the Portuguese back line also looked stable even without Pepe, and Joao Pereira did well to overlap with Nani down the right, where Portugal had most of their success against the Greeks. Ricardo Costa also made a successful return to the Selecao, while Andre Almeida offered little attacking support despite looking comfortable in defence. Paulo Bento and co. will be back in action on 6 June against Mexico at Gillette Stadium in Foxborough, Massachusetts before their final preparatory match four days later against Ireland at New Jersey’s MetLife Stadium. Before starting this piece in earnest, I think it’s only fair to acknowledge my personal view about the Glazer family’s ownership of Manchester United. I’ve never been a fan of the takeover, nor do I agree with the way in which it was completed. I fully understand that Manchester United were always susceptible to a takeover bid given they were a publicly listed company and that the purchase by the Glazers complied with the requisite rules and regulations. This article is not about Malcom Glazer, but about the consequences of his and his family’s ownership of Manchester United. Since the Glazer takeover, Manchester United have won five Premier League titles, three League Cups, five Community Shields, a Champions League and a FIFA Club World Cup. Take into account two further appearances in the Champions League final, losing both times to Barcelona, and missing out on another Premier League title by virtue of a last minute goal on the last day of the season by Sergio Aguero, and it’s fair to say that on the whole United have competed for trophies on a consistent basis, barring last season of course. In fact, despite the unpopularity of the ownership, which culminated in the Green and Gold campaign in 2010, the Glazer era has been arguably the most successful in Manchester United’s history. The key question is, though, were United successful because of the Glazers or in spite of them? It’s worth looking into the events that preceded the takeover because despite the relative success United enjoyed on the pitch prior to the takeover, the club was going through a difficult period off the field. It is no secret that Sir Alex Ferguson has a passion for horse racing. He struck up a friendship with racing tycoons JP McManus and John Magnier. The Irish pair took an interest in Manchester United by purchasing shares and owning as much as 28.89% of the club. The roots of Glazer’s takeover of Manchester United can, arguably, be traced to a horse, specifically ‘The Rock of Gibraltar.’ Magnier had given Ferguson co-ownership of ‘The Rock of Gibraltar,’ who went on to have a successful racing career earning over £1million in the process. The nature of the ownership, though, became the center of a dispute between Ferguson and Magnier. The former Old Trafford boss believed that he was entitled to a half-share in the ownership of ‘The Rock of Gibraltar,’ which would have allowed him a cut of the lucrative stud rights. Magnier was of the belief that only the prize money would be shared. This led to a very public falling out between the pair and resulted in Ferguson suing the racing tycoon. Magnier and McManus didn’t take this action lying down and ratcheted up the pressure on Ferguson, using their clout at Manchester United. The pair demanded United answer 99 questions pertaining to the club’s finances, transfer dealings, and affairs. This was particularly sensitive as there were reports that Ferguson’s son, Jason, allegedly secretly benefited financially from United’s transfer activities. Their actions put pressure on Sir Alex and weakened his position to a certain degree. Add to that the perception that United were waning on the pitch, culminating in a trophy-less season in 2004-05, and it appeared that Ferguson was skating on thin ice. Magnier and Ferguson eventually settled out of court with the latter accepting a settlement fee of £2.5million. In hindsight, Ferguson was the big loser in the battle and arguably had this dispute not arisen, the Glazers may not have had an opportunity to take over Manchester United. The Glazers did take advantage of the strife to accumulate shares and eventually bought out the club, taking United off the stock market on the June 22, 2005. Even then, it was argued that had Ferguson stood against the takeover. The financiers funding the deal would not have provided the cash for the Glazers to complete the purchase of United as the Scot had been identified as being crucial to the long term success of the club. However, that did not come to pass and the Glazers bought United for £790million in a heavily leveraged deal. The Glazers then loaded the debt, £525million pounds worth, onto the shoulders of Manchester United. A highly controversial and unpopular move with the United faithful. The transfer strategy changed under the Glazers with a focus on purchasing players with potential for high resale value. Under this policy, United signed the likes of Anderson, Nani, Antonio Valencia, Ashley Young, Wilfried Zaha, Phil Jones, David De Gea, Chris Smalling, Michael Carrick, and Owen Hargreaves to name but a few. On the other hand, players over the age of 26 were not considered with respect to a big money bid. These signings varied in terms of success, but United only deviated from this policy a couple of times when they signed Dimitar Berbatov for £30.75million and Robin Van Persie for £24million. Whilst the list of signings may seem impressive, United were quickly falling behind the likes of cash-rich clubs like Chelsea and Manchester City as well as continental counterparts like Barcelona, Real Madrid, Bayern Munich, and more recently, Paris Saint-Germain. For all of Ferguson’s protestations about finding ‘value’ in the transfer market, the critics pointed to the fact that the debt had placed undue restrictions on United’s ability to compete for the best players. Ferguson, for his part, always backed the Glazers, saying that he had free reign in the transfer market. Since the Glazers took over in 2005, United have spent a total of £382.9million including the deals for Fellaini and Mata. During that time Manchester City have spent £693.7million, Chelsea £600.2million, Tottenham £448.2million, and Liverpool have splashed out a total of £443.75million. Perhaps the most damning statistic of all is that United have spent more on debt repayment, interest fees, and bank charges – over £680million – than on player acquisitions. It’s easy to say, but had United not been burdened with all that debt, the club would have and perhaps should have competed with the top clubs to sign the best players in the world. It is a testament to Ferguson’s management and David Gill’s savvy that United, despite the debt, managed to stay on top of the tree for so long. The fact that United are now willing to spend up to £200million after a disastrous season speaks volumes of the degree of underinvestment in the squad in the preceding years, under Ferguson’s and Gill’s watch it must be said. It also has to be pointed out that United have the second highest wage bill in the Premier League spending £182million in the 2012-13 season. Expect that figure to rise should Louis Van Gaal and Ed Woodward spend heavily this summer on player acquisitions. What the Glazers were wise in doing was to leave all the football matters to Sir Alex Ferguson and David Gill. Indeed, the pair probably wielded more power in the Glazer era than anytime during the PLC period. It’s therefore natural and understandable that Gill and Ferguson were the Glazers’ biggest backers, even in the face of fan hostility. Unfortunately for them, they gave Ferguson too much power when he anointed David Moyes as his successor. The suspicion was that the Glazers supported the appointment in part because of Moyes’ frugality in the transfer market. Add to that Ed Woodward’s ascension within the Old Trafford hierarchy to replace David Gill and club were in an extremely vulnerable position come the start of the post-Ferguson period. The worst fears of fans were realized as the club stumbled on the pitch and made a shambles of the summer transfer window. The commercial side is where the Glazers have been successful at Manchester United. Prior to the takeover, the feeling was that Manchester United were not extricating the maximum value from their brand. In hindsight the Glazer family were correct, though that’s not to say that United wouldn’t have realized its potential and value had they not taken over. Edward Woodward advised the Glazer family on the takeover bid and was then brought into the club once the purchase was done. Initially employed to drive the commercial side of the club, Woodward managed to increase United’s income from £48million in 2005 to £152.5million in 2013. Perhaps the biggest key in United’s commercial income boom under the Glazers was the decision to negotiate regional deals across the world, securing partnerships in Hong Kong, Saudi Arabia, Thailand, Turkey, Kuwait, and Japan to name but a few nations. Add to this the leveraging of United’s value to negotiate big commercial deals with the likes of Chevrolet, Aeroflot, Hublot, and other key brands, and it is fair to say that the club under the Glazers has been doing its utmost to maximize its profitability and there’ll be more deals to come. Currently, United are negotiating a kit deal which could see them rake in as much as £60million per year. Despite the debt, the commercial side of Manchester United is extremely strong and indeed allowed the club to remain self sufficient. There is a recognition that there must be some form of success on the pitch with United challenging for trophies in order to keep club’s profile amongst the world’s elite. The Moyes experiment ended badly and it’s now up to Louis Van Gaal to ensure a quick return to winning ways. Six years on, only Edwin Van Der Sar has been replaced adequately. Up to the end of last season United still had Vidic, Ferdinand, Evra, Carrick and Rooney on their books with the latter being the only player under 30. Hindsight is 20/20, but could United have gone on to greater things had there not been any debt hovering over the club? Possibly, but then again perhaps not. What is certain is that without the debt United would have been able to compete for the top players in the transfer market and keep the squad fresh. Prior to the takeover, Ferguson was not shy about making big money signings, recruiting the likes of Roy Keane, Rio Ferdinand, Ruud Van Nistelrooy, Juan Sebastian Veron, and Wayne Rooney. One could argue it marked a lost opportunity to have really taken the club to a truly exceptional level as a result of the financial restrictions placed on United. Given the money that is awash in football, it is naïve, foolish even, to think that top football clubs could ignore commercial opportunities. Football is a business as much as it is a sport now so there is a need to ensure that clubs can earn money to ensure that the business is self-sustaining. Let’s not kid ourselves either about Manchester United. Long before the arrival of the Glazers, United took full advantage of the commercial opportunities on offer. The club were floated on the stock market and aggressively cashed in on their global appeal. The club badge even dropped the words ‘Football Club’ from the logo for marketing reasons. Fairly or unfairly, there was a certain distaste at how Manchester United were run commercially. Supporters of the Glazers are entitled to argue that they were just continuing what the club had already been doing, albeit at an accelerated pace. The success of the Old Trafford club after the takeover kept the fans satisfied as Ferguson reeled in trophy after trophy. The main difference is the debt. Before the takeover, no matter how commercial Manchester United were, they were never in debt and the Glazers took advantage of the club’s profitability. As Gavin McOwan wrote in the Guardian, the Glazers used United’s money to buy itself. The purchase broke no rules, but the nature of the takeover and the extra burden laid on the club by the Glazers has and always will be a sore point. Despite the increase in commercial income led by the Glazers’ business model, there will always be the lingering thought of ‘what if?’ What if the club wasn’t taken over? What if there was no debt? What if all the money used to service the debt was instead kept in the club to fund player purchases and improvements within the club. When United fans look back upon this section of the club’s history, they will fondly remember Ferguson’s achievements. As for Malcolm Glazer, his legacy will be the huge debt he burdened the club with and the consequences of paying it off. MIAMI — What greeted Erik Spoelstra on Thursday wouldn’t be welcome in any other walk of life, but it was what he wanted to see. What he needed to see. What was absent at times in months that mattered less. What was essential to get to the month that matters most. “A very angry group,” the coach said. What were they angry about? Too much to chronicle quickly. They were angry about the peripheral stuff, for sure, the stuff they couldn’t control. Lance Stephenson’s buffoonery. The officials’ inconsistency. The Pacers‘ impropriety, their tendency during two years—and three postseasons—to talk much, much, much too much. They were angry most of all at themselves, for letting it get this far. Play their best, which is something they hadn’t done all that often this season. Prove they’re better, which is something they’ve believed all along, no matter their seeding. Four straight NBA Finals, with that series to start on Thursday. This was why they’re better. This is where they can go, when they care. That’s a team the Pacers still can’t touch. If “yets” and “ifs” and “buts” were nuts, then, well, they’d be Lance Stephenson. But they also feel stale at this stage, since Vogel’s team said many of those same things 360 days earlier, when it lost the second of three series to the Heat. That night, after getting routed by 23, the Pacers spoke of their promise. (“The great thing is we’re a young team and we are past the building stage,” Paul George said then. “This is really our first year tasting success. The rate we are going, we see championships soon.”) And they committed to capturing the top seed in the East, as a means of avoiding another elimination game on the road against a team they’d been built to beat. They made it their mission to get Game 7 on their floor. But, first, because of a home loss in Game 2, they needed to survive Game 6 in South Florida. They needed to survive the switch. The Pacers led 9-2 early before the beating began, one that Ramsay Snow would have considered cruel. The Heat allowed just five points in the final eight minutes of the first quarter, while scoring 22. That was just a precursor to the pain to follow, with Miami outscoring the Pacers by an obscene 84-40 count from that inauspicious opening, and Vogel calling more timeouts than a kindergarten teacher. Actually, he might have felt like one this season, dealing with bruised and inflated egos, and with fractures in the locker room that will likely become more apparent in the offseason x-ray. But on this night, none of that was the primary problem. Not Roy Hibbert‘s no-show, with just one field goal, and just four rebounds, his 10th playoff game with five or fewer of the latter. Not Stephenson’s silliness, which included cupping James’ chin (“uncalled for,” James said), flagrant fouling Norris Cole and confronting Chris Andersen, a series of antics that caused Udonis Haslem to threaten him from the bench, with James smartly holding Haslem back. Not George’s tardiness, as the Pacers’ signature star followed up a 2-of-9 struggle in Game 7 of the 2013 Eastern Conference finals by scoring just one point in the first half, before tallying 28 more with the contest decided. Not David West, the Pacers’ rock, suddenly sailing passes out of bounds. The primary problem was in the home whites. The Pacers weren’t winning on this night, regardless. There was no way the bloodthirsty Heat would allow it. Not after they’d been roused. Roused by history, and the opportunity to reach a fourth straight NBA Finals, something no team since the 1987 Celtics of Parish-McHale-Bird-Ainge-Johnson had done. Roused by idiocy, the sort Stephenson had to spare, even Spoelstra wouldn’t identify that as inspiration. They’re playing for themselves, for who they believe they are, and what they want to accomplish. So, you could say that, after an uneven season, they were mostly roused by pride. Chris Bosh‘s pride not to allow Hibbert to dominate the paint the way he did last postseason: “I really took the personal challenge to do a better job.” And he did, not only defensively, but by breaking out offensively in the final three games, and throwing in a few fistpumps. Chris Andersen’s pride to prove he could have, should have played in the past couple games, even with a bruised thigh; he provided nine points and 10 rebounds in 13 minutes on Friday. Dwyane Wade‘s pride to push himself through a rigorous program, to prove that he is still a worthy championship sidekick. Shane Battier’s pride, and Ray Allen’s pride, and Rashard Lewis’ pride, to prove they still have something left to give. “There isn’t an article written about us that doesn’t mention our aging role players,” Battier said. James’ pride to keep working towards becoming the best there ever was. “We’re competing against the Michael Jordan of our era, the Chicago Bulls of our era,” Vogel said. James smiled when told of that statement. And in the end, it really doesn’t matter if we know exactly what it was that got them so furious and focused—that got them to flip that switch, and turn out Indiana’s lights. All that matters is where the Heat ended up. Where they always believed they’d be. Springer began the 2014 season as the 18th ranked prospect in baseball by Baseball America but he was not expected to be brought up right away so that Houston could delay his arbitration clock. However, it took a couple of weeks before Springer hit the show and once the calendar hit May, that was when Springer became the show. What Springer has done this month is truly remarkable. He has a triple slash of .319/.413/.617 with ten home runs. Those ten home runs have him tied for 19th in baseball already, tying him with such guys as Paul Goldschmidt and Mike Trout, who have played 18 and 14 more games, respectively. And what he has done in the last seven games is historic as he has done something that has not been done in almost 67 years. In his last seven games, Springer has hit seven home runs. The last guy to do that? None other than the immortal Rudy York of the Detroit Tigers, who did it from August 22nd through 27th in 1937. Springer’s statistics during this stretch has been tremendous with a .416 batting average, 14 RBIs and 11 runs. What is even more important is that Springer has helped sparked a six game Houston winning streak. Of course, Houston is still only 23-32 and 9.5 games back of the AL West-leading Athletics but at least they could end this evening with a record that is not the worst in the Junior Circuit. Plus, according to the great Jeff Passan, Springer has helped to inject the Houston dugout with some much-needed energy and has helped a woebegone franchise have some hope over what the future can bring. Can Springer keep up his torrid pace? While that would be extremely impressive, eventually every rookie will go through some sort of a slump and struggle a little bit. But for Springer, might as well let the good times roll on. Former Microsoft CEO Steve Ballmer’s purchase of the Los Angeles Clippers has been approved by the NBA just days before the June 3 meeting of the NBA’s Board of Governors. Donald Sterling has been the object of ridicule over his racist comments the last few weeks, but he has continued to claim he has the support of his friends. Are the friends he is referring to the owners of other professional teams? Sterling has been a documented racist for at least the last 10 years, and in that time no other NBA owners have been eager to oust Sterling from the fraternity of NBA owners until he was recorded, letting his true feelings about minorities come to the surface. Sterling would still be running the Clippers business as usual if not for that recording, and judging from the last 33 years, it is doubtful any owner would have spoken up against him. People are entitled to feel the way they feel about any group of people, but nobody should be allowed to make billions exploiting the people they hate the most. Sterling has been painted as a mentally ill old man who is not truly aware of what is going on around him. That is an easy way to discredit a man who had no problem running his franchise one month ago. Owners interact with each other in many different capacities, and it is very hard to keep all racist beliefs and behaviors private at all times. Sterling was not merely tolerated as a racist for 33 years, so how deep does the rabbit hole go? It would be a public relations nightmare for any owner that would not vote to have Sterling sell his team, but the timing of the sell raises some red flags. The Board of Governors is still scheduled to meet, but it is completely different now that it will no longer be deciding on if it should strip Sterling of his team for personal beliefs that were unknowingly recorded. If there are other owners with a plantation style of thinking, then the timing of the sale is very convenient to say the least. Shelly Sterling spent decades married to a racist, and because of the deep bond and intimacy that marriage entails people recognize her as a racist also. It is extremely difficult to spend your life with a person that feels as strongly about minorities as Donald Sterling does without sharing some of those views. A similar principle applies to the owners that worked with him for the last 33 years. Mark Cuban tried to bring light to the fact that we all have our own prejudices. However, most people are not in a position of power that allows them to profit off the people they despise the most. The public wants to know if there are other owners that fancy themselves plantation owners giving “poor black boys from the South” everything they have. Unfortunately, now we may never know. The onus of the National Hockey League playoffs is to, conceivably, pit the two best teams against one another in the Stanley Cup Final. This years edition of the Final has yet to take place, but the top two teams are already facing each other in a best of seven series. The Western Conference Final, which features the Los Angeles Kings and Chicago Blackhawks, has proven that they are the two best teams in hockey and their still on going battle clearly seems like this years actual Final. The difference in quality of play in the 2014 Western and Eastern Conference Finals is a microcosm of the regular season disparity between the two conferences. For instance, four of the top five teams call the West their home, and of all the 14 Western Conference teams, only four, Dallas, Vancouver, Edmonton and Nashville, were below .500 in games played against Eastern Conference opponents. For this fact, I considered shootout and overtime losses as actual defeats, and if I were to just look at the wins and loss columns, only one team, Dallas, was actually below the .500 mark. In that case, yes, even Edmonton had a winning record against Eastern Conference teams. On the face value of wins and losses, the West’s dominance over the East in the regular season shows that the East is inferior to the West in not just the third round of the playoffs, but also over the NHL landscape as a whole. Attrition in this sense doesn’t mean losses, but more so the damage one does to their own well being while trying to navigate through a month and a half of playoff hockey in the West. The elevation of play to the point of insanity has been seen, and will be seen again in the final two games of the Western Conference Final. Take in point the Game 5 double overtime thriller. The first overtime period was a blitzkrieg across a frozen plain, where two elite teams with incredible depth traded blow after blow, without ever so much as taking a deep breath. The amount of players elevating their game has made one thing evidently clear: in order to succeed, a team must have superior depth. 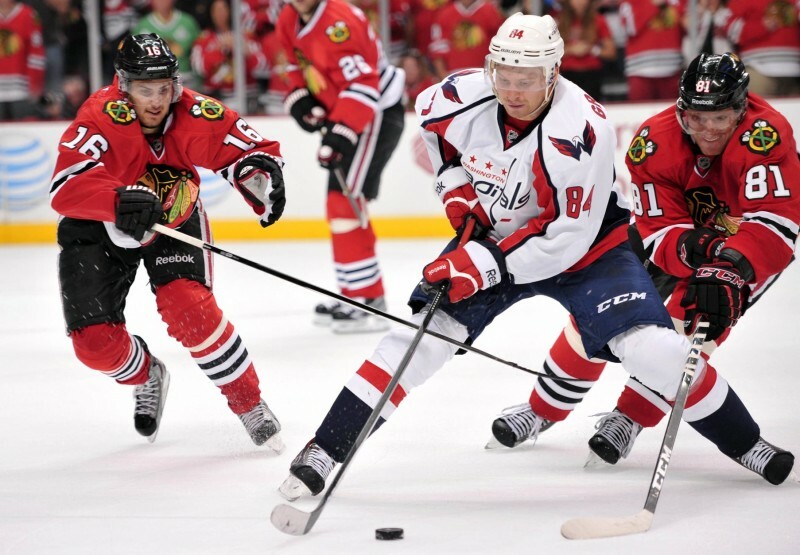 And Carter has now scored 22 goals since the beginning of the 2012 Stanley Cup Playoffs, which is five more than any other player, with Chicago’s Bryan Bickell next at 17 in the same time frame. This stat from The Toronto Star’s Kevin McGran encapsulates the success of the two most dominant teams in the past three years of the playoffs, with Los Angeles’ star sniper elevating his game and a non household name elevating his. Jonathan Toweshas also played so well and been so important to his club’s success, that he is bashing down the door to the “who is the best player in the world?” argument. Drew Doughty always raises his level of play when the stage gets bigger and Braandon Saad seemingly willed his team to stave off elimination in Game 5. None of this is to discredit Martin St. Louis, Derek Stepan or Rene Borque’s playoff performance. All three, especially St. Louis, have been integral to their team’s victories. But the difference in elevation of play between the West and the East shows is that there is a gap in depth between the two conferences. 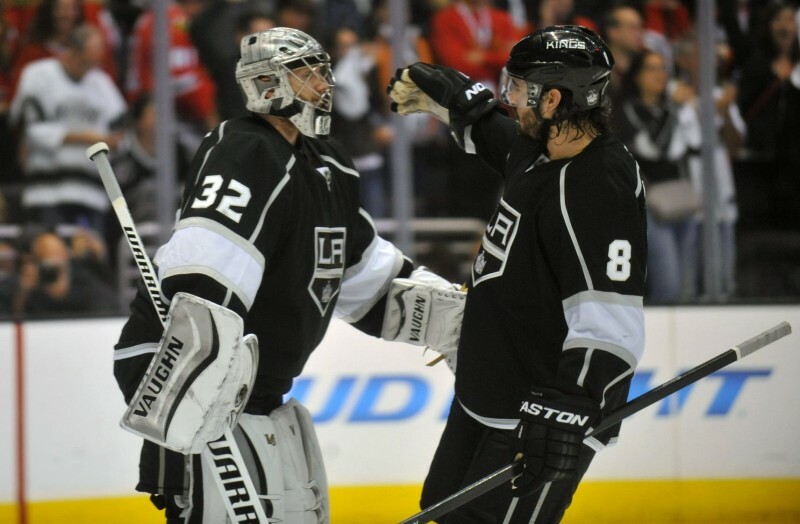 The Kings and Blackhawks have matched up line for line and are putting on a show. 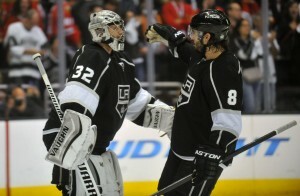 When one, or multiple, Kings players steps up, the Blackhawks have the capability to answer. The Rangers aren’t able to answer either the Kings nor Blackhawks’ elevation of play or depth, therefore Los Angeles and Chicago are the two best teams remaining. Heading into the Eastern Conference Final, the main storyline was both as easy to identify as it was brought up with anticipation: Carey Price versus Henrik Lundqvist. They are the two net-minders from the gold medal game in Sochi and are two elite goalies. It was building up to be the Tom Brady versus Peyton Manning of hockey. And it only lasted two periods. Without Carey Price, the series became more about Martin St. Louis and Dustin Tokarski than the more interesting aspect of Montreal’s almost incessant never-say-die attitude. The amount of depth the Kings and Blackhawks offer favourably lends to the Western Conference Final’s ability to conjure up storylines almost every game. Game 5 it was Brandon Saad’s incredible performance that pushed Patrick Kane’s four assists to the background. Through Los Angeles’ victories it was Jeff Carter’s superstar play and Marion Gaborik making all rental players look like their worth it that grabbed the headlines. Notice I haven’t mentioned Jonathan Quick, Drew Doughty or either of the coaches yet, all of who can create stories just as well as the other. With no disrespect to the New York Rangers, the Western Conference Final feels as though the winner of this series will go on to win the Final. It’s too bad that the two best teams played each other in an attempt to capture the Clarence S. Campbell Bowl and not the Stanley Cup. This series has so much to offer, from the team’s ability to play electrifying hockey to creating off the ice storylines, that the only thing every hockey fan can agree on is that we hope this series goes to seven. It’d be a crime if it didn’t. Will PK Subban Join the Boston Bruins Next Season ? The Boston Bruins have an interesting offseason ahead of them. The foul stench of an early round exit at the hands of their vaunted rivals will be hanging over them for quite some time and they need to do something about their defense for next season. So many times throughout the Canadiens series the young Bruins defense corps failed them. They made mistakes that led to breakaway goals and uncontested goals. Something has to be done, something drastic. So, how about this if the Bruins want to make a splash: sign Montreal Canadiens defenseman and Bruins public enemy number one, PK Subban, to an offer sheet. I know it is a complete long shot and that I have a better shot at WWE diva Paige before PK Subban wears the spoked ‘B’, but it is an intriguing thought and maybe Boston should kick the tires on this one. I mean what better way to stick it to the Habs, their hated rivals and the team that ruined their President’s Trophy winning season, than by signing their best player away. Granted Montreal can match any offer that any team makes, and they most likely will. Right now, the Bruins’ cap space is at $9,120,357 and they still need to address Jarome Iginla entering free agency and Reilly Smith being an unrestricted free agent, so they will more than likely not have enough money to entertain Subban. At the same time, the Bruins could sign Subban to an outrageous offer sheet (see Shea Weber and the Flyers) that Montreal would have to match (see Shea Weber and the Predators). That, in theory, could take a huge chunk out of Montreal’s cap space and hurt them in the upcoming free agency period. 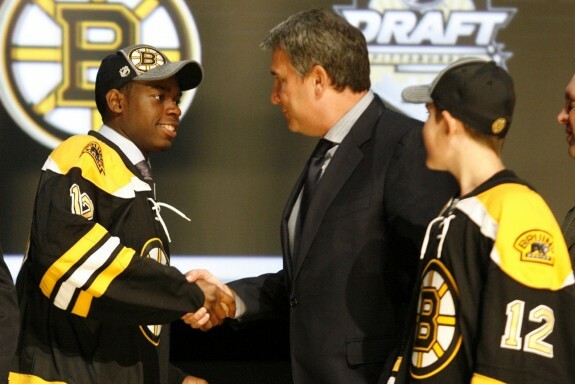 However, should the Bruins just sign Subban as a bluff and what if Montreal calls Boston’s bluff? The Bruins would then be stuck with a bloated salary and hinder the team going forward. It’s really a high stakes poker hand if they decide to sign Subban to an offer sheet just to see if the Canadiens’ would bite. The current Bruins defensive squad consists of Zdeno Chara, Dennis Seidenberg, Johnny Boychuk, Adam McQuaid, Dougie Hamilton, Kevan Miller, and Torey Krug. So, its basically a logjam as it is with the blueliners in Boston. More than likely one of them will be have to be traded to clear some cap space. Next season, Zdeno Chara is expected to make $6,916,667, according to CapGeek.com, you would have to believe PK Subban would be getting something within that range. Even if the Bruins clear more cap space by trading away another defenseman, they still need to re-sign Iginla and keep an eye on whether or not another team signs Reilly Smith to an offer sheet that the Bruins would almost have to match. Who knows if the Bruins could even keep Smith with their problems with the salary cap. Subban is the perfect player for the Bruins system. Head coach Claude Julien focuses on a defense first strategy and Subban is one of the elite defensemen in the NHL. The top pairing of Chara and Subban, two former Norris Trophy winners, would make any opponent worry. In a perfect world, Chara and Subban would be playing in Boston next season, but the salary cap gods that be will most likely not allow this to happen.